Inlate 1980, I found that I had become very attracted to dolphins. I read books about them and their amazing abilities. 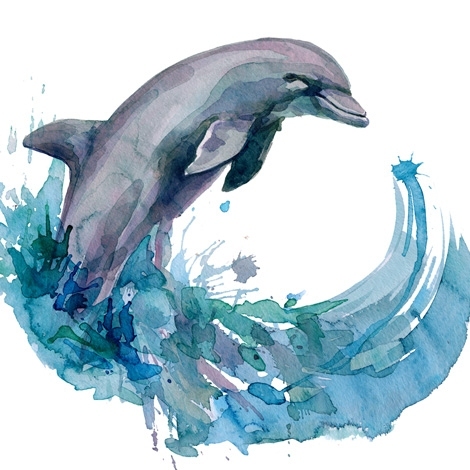 Dolphins were said to have healing and telepathic abilities and a knack for opening people’s hearts. I wanted to experience firsthand some of the wonders everyone wrote about. Since I wanted to support only free dolphins, I voted with my dollars and refused the easy contacts with dolphins in captivity. I finally found dolphins in the wild in the lush waters of Hawaii. One sunny Hawaiian day, I was swimming with two friends in a group of about seventy spinner dolphins. We forgot everything but our joy in the moment. I felt that I could swim forever with our newfound angels. And it did feel angelic. It was as though I had been lifted into heaven on earth. If there are spiritual masters on this earth, these dolphins were among them. They showed me how to feel oneness, and they took me into an envelope of safety that helped me swim and overcome my fear of deep water. message simultaneously dazzled us; it meant that telepathy between dolphins and humans was real, not just the wishful thinking of a joyful soul. In addition, I heard the dolphins communicate to me, "You have just enough energy to make it back to shore." I was feeling fine and didn’t see any reason for the warning. But fortunately I listened to the dolphins, because halfway to the beach my leg started to cramp. I barely arrived at the shore. As I tried to stand up, I collapsed back into the waves. The waves were small that day; otherwise, I would not have been able to crawl out of the water to shore. Obviously my angel dolphins had assessed my body’s abilities, which I had totally forgotten in my ecstatic swim with them. I was oblivious to my limits, but they kept an eye on me. How had the dolphins been able to measure my strength? How had they transmitted the message? If I had been the only one to hear the dolphins’ warning, I would have considered it an act of my own intuition. But there we were, three intelligent adults, all of whom had heard the same message to get out of the water now.